​The Girls' Soccer Residential Camp is designed for the advanced player. The camp combines individual skills with advanced team tactics to enhance the development of each player. Attendees will be exposed to challenging training sessions run by UR coaching staff, and will have an opportunity to demonstrate their abilities against other prospective student athletes in match settings. 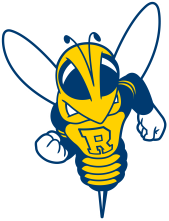 ​Tuition, room and board on the beautiful University of Rochester campus and a camp T-shirt. $100 Deposit required with application. Enrollment is limited to ensure quality instruction, so reserve your space now! ATTEND CAMP AS A TEAM! A team camp option is available for high school and club teams interested in living together, training and competing as a unit. Attending as a group is a great way to build chemistry, work on team tactics and get a head start on your season. In addition each player will receive a discounted registration fee!